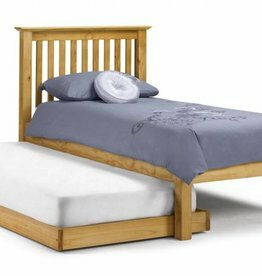 We have a selection of children's beds in different colours & styles. 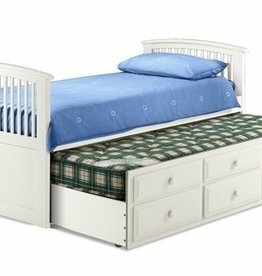 Dakota cabin bed - white. Dakota cabin bed - taupe grey. It features a sturdy metal construction and is finished in beautiful black or ivory. It is finished in ivory with a sprung slatted base and has a low foot end. 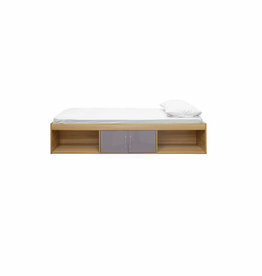 This classic white metal single bed is a great option for children’s bedrooms or guest bedrooms. 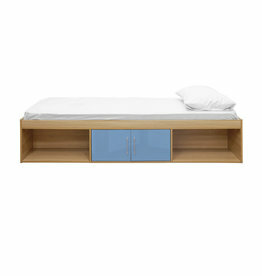 A handy underbed which can be used as a pull out bed when guests come to stay. Barcelona sleep station in solid pine. A great fun bed for your son or daughter! 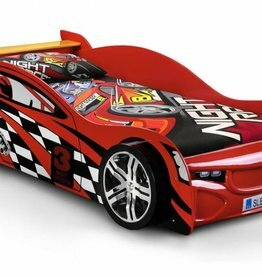 This bed comes with a tank full of imagination and slick racing tyres for the dream ahead! 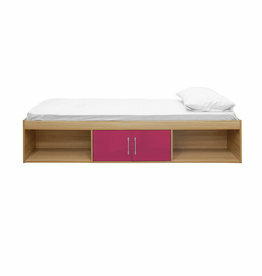 A sleek and contemporary triple sleeper bunk bed, an ideal space saving solution for a guest room or child’s room. In solid pine, finished in antique lacquered. Available sizes: small single & single. Available in: white, white & pink, white & blue. 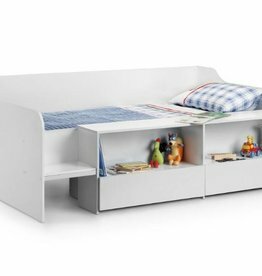 A modern, space-saving solution to any children's bedroom. 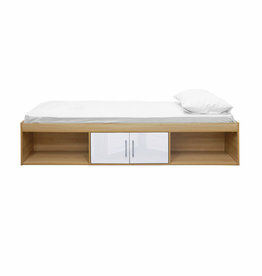 A contemporary mid sleeper in All white finish or in maple &aluminium, offering great storage. 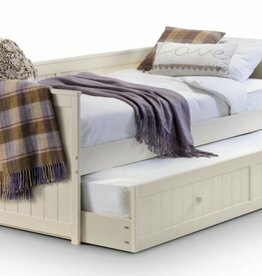 Hornblower cabin bed in pine or white. Available colours: white gloss & aluminium with wooden ladder rungs. 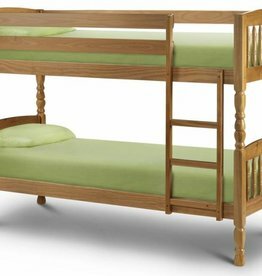 Practical and fun bed for your children can be easily separated into two single beds.